TTS Program - the quality has improved in recent years. 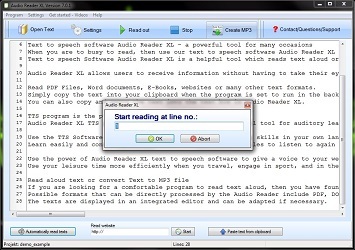 A TTS Reader is a computer application that is capable of reading words written on a screen out loud in a synthesized human voice. The quality of Text to Voice Software has improved significantly in recent years. Computer generated voices have become common place in applications such as Siri on the Apple iPhone and Google and Amazon's digital assistants. The march towards this ubiquity started in the TTS Program. The use of TTS Software first became commonplace in the mid to late 1990s. Increased computer processing power meant that it was possible for computers to read text out loud. 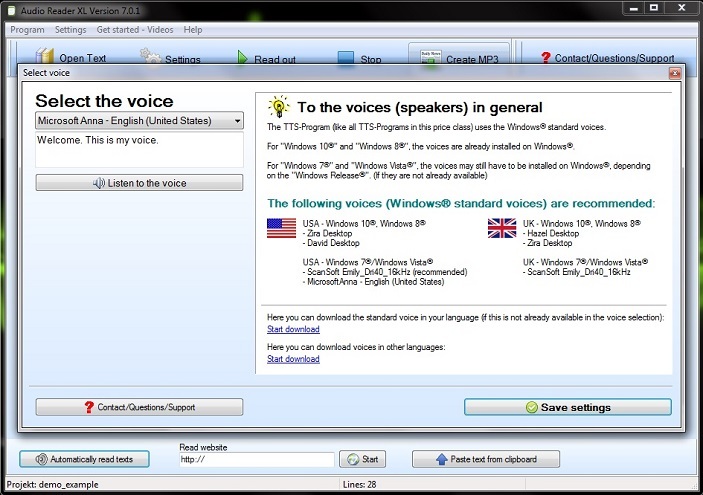 The first synthesized voice had been introduced back in the 1980s alongside the launch of the Apple Macintosh computer, however the Voice aloud Reader was considered too low fidelity and demanding to be considered for day to day use. Microsoft first include a TTS Program in its regular Windows operating system with the launch of Windows XP in 2001. Microsoft Sam was many people's first experience of a TTS Program. Sam was a Text to Speech Reader who could read aloud Text in a fairly robotic sounding monotone but still represented a huge advance on what had been possible using previous examples of Voice Reader Software. The TTS Program was however to remain little more than a novelty to most computer users for many years. How can a TTS Program be used nowadays? Text to Voice Software is no longer the preserve of desktop computers. Many complex computer systems make use of it as well. Instead of recording an enormous bank of human voice clips, Aviavox developed a TTS Program for its airport announcement system. The remarkably human sounding voice can be heard at some of the biggest and most important airports worldwide, including London Heathrow Terminal 5, Amsterdam Schiphol and Lisbon. Text to MP3 software also plays a major role in many emergency alert systems run by governments across the world. 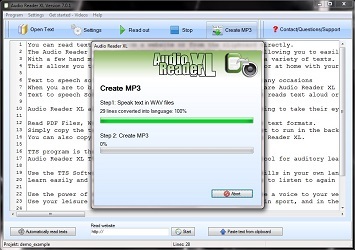 By converting raw text into speech, it enables authorities to make whatever announcement maybe required at any time. They are no longer limited by whatever may happen to be in a bank of pre-recorded soundbites. TTS Program becomes more and more a helpful tool. While the TTS Program was originally the preserve of users with specific accessibility needs like low vision and dyslexia, the general improvement in the quality of speaking software means that many users now choose to make use of it. 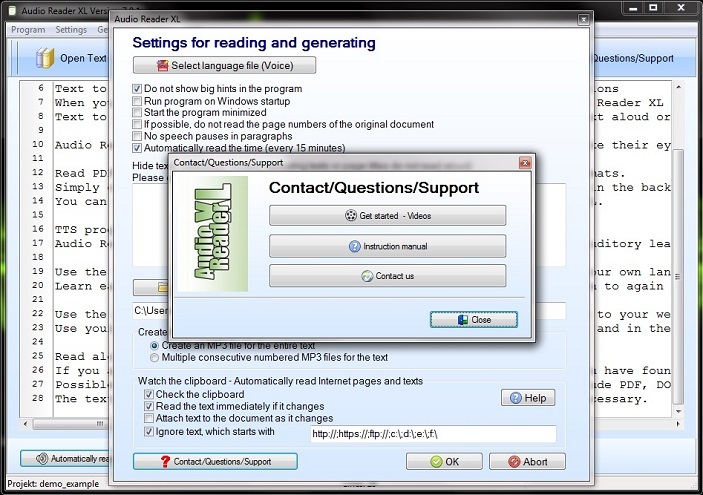 Instead of spending time reading a document from a screen and encountering issues such as eye strain, many users now choose to use PDF to Speech software to read the contents of their document out loud and allow them to continue with another task while they absorb the information. Usage of Text to Speech Software is only expected to become more commonplace in the coming years. As the quality of voices improves, users will be more and more willing to use TTS Software instead of relying on pre-recorded speech. It is likely, for instance, that many audiobooks will be produced using a Text to Voice Reader instead of human actors within the next decade or so.